Origin Ivy gourd occurs wild in northern and eastern Africa, Arabia to tropical south and southeast Asia. 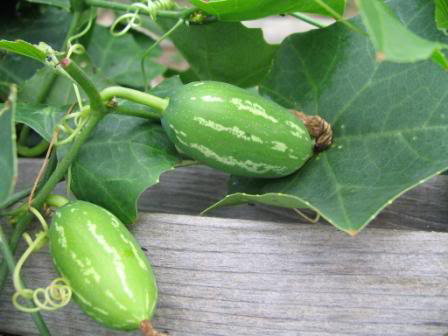 Coccinia grandis, the ivy gourd, also referred to as baby watermelon, little gourd, gentleman’s toes or even gherkin is actually an exotic vine belonging to the family Cucurbitaceae, in the genus Coccinia Wight & Arn. 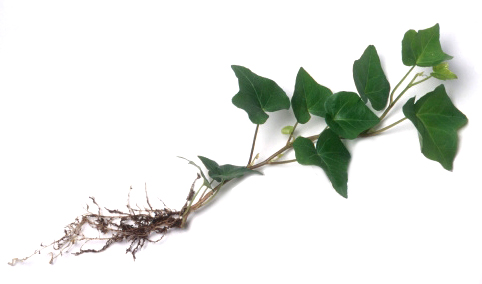 Other Common Names of Ivy includes Kowai fruit, Small Gourd, Scarlet-Fruited Gourd, Scarlet Gourd, Kovakka, little gourd, tonde Kai, Cephalandra indica, and Tindora. 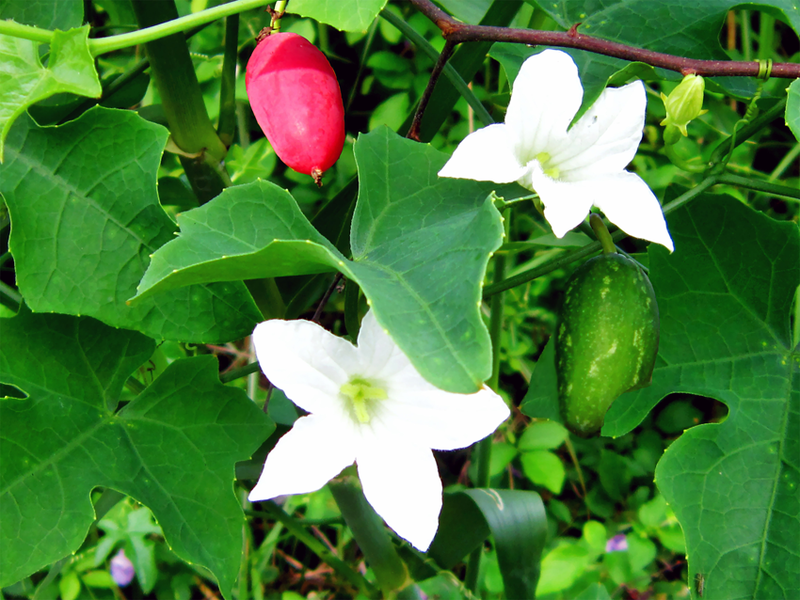 It is actually native to northern and eastern Africa, Arabia to tropical south and southeast Asia.Ivy gourd is referred to as Telakucha in Bangladesh, Gourde Écarlate De L´Inde Tindola in French and Gol Kankri in Nepali. Ovoid to ellipsoid berry shaped vegetable is in fact a storeroom of several health promoting Nutrients, vitamins and Minerals. 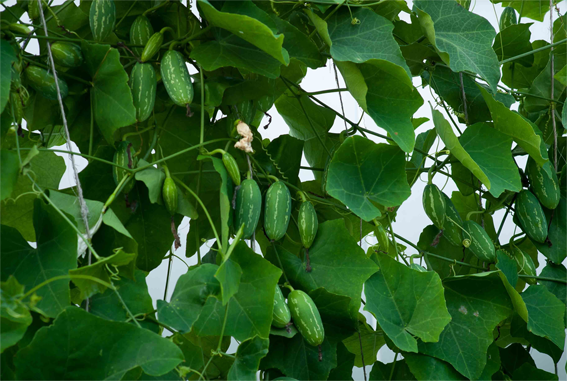 Ivy gourd is actually a dioecious perennial climbing or trailing herbaceous vine sized 3 m (9 ft 10 in) tall which is found growing in a sun-drenched protected place. Normally it prefers sandy soil. It has got tuberous root systems with green stems, ribbed when young, glabrous, with simple, axillary tendrils. Leaves are palmately simple along with five lobes while the shape differs from the heart to pentagon form, size of the leaves is around 5 -10 cm in width and length. Upper surface of the leaf is hairless, while the lower is hairy. Flowers are usually star-shaped, large and white and about 4 cm in diameter and contain five long tubular petals which is found blooming during Aug to September. Ivy gourd is smooth, ovoid to ellipsoid in shape and thus small they are usually known as “berry”. Its dimensions are 60 mm long by 15-35 mm in diameter. Skin is smooth along with variations of green and white. It is green with longitudinal stripes when young turning bright red when ripe. 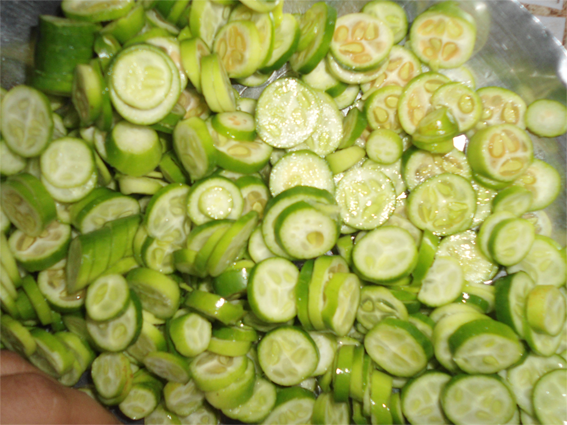 The clear white flesh of the fruit looks like the appearance as well as taste of the cucumber, showing numerous seeds. The flesh is equally crispy as well as tasty in texture having a slightly bitter aftertaste. It has several pale, flattened seeds 7 mm long. Because of its wonderful taste it can be included in many delicacies. 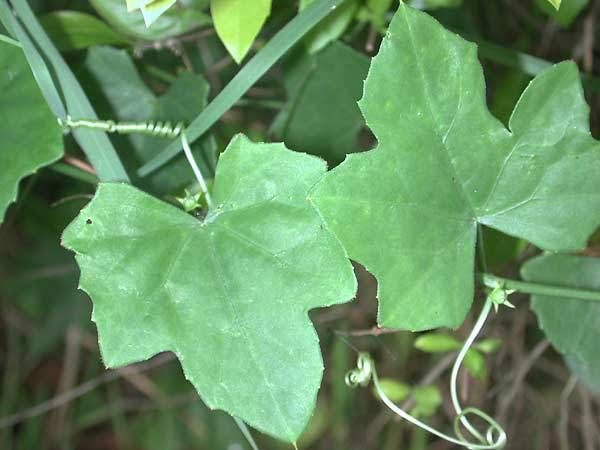 Ivy gourd is native to East Africa and has been spread in different parts of tropical Asia, America and Pacific, but it has become offensive only in Hawaiian and Mariana Islands of the Pacific. Very small populations are distributed throughout western Australia, the northern territory and the northern coastal parts of Queensland. Apart from their delightful taste Ivy gourd is a good source of nutrients, vitamins and mineral. Consuming 100 gram of ivy gourd supplies, 1.4mg of Iron, 0/08mg of Vitamin B2 (Riboflavin), 0.07 mg of Vitamin B1(Thiamine), 1.6g of Total dietary fiber and 40 mg of Calcium. Calories 18 Kcal. Calories from Fat 1 Kcal. Iron can be obtained both from vegetarian and non-vegetarian foods. Iron rich food is included in our diet plan for eliminating unexplained or long-lasting fatigue that may occur in both men and women. Fatigue is caused due to Iron deficiency. 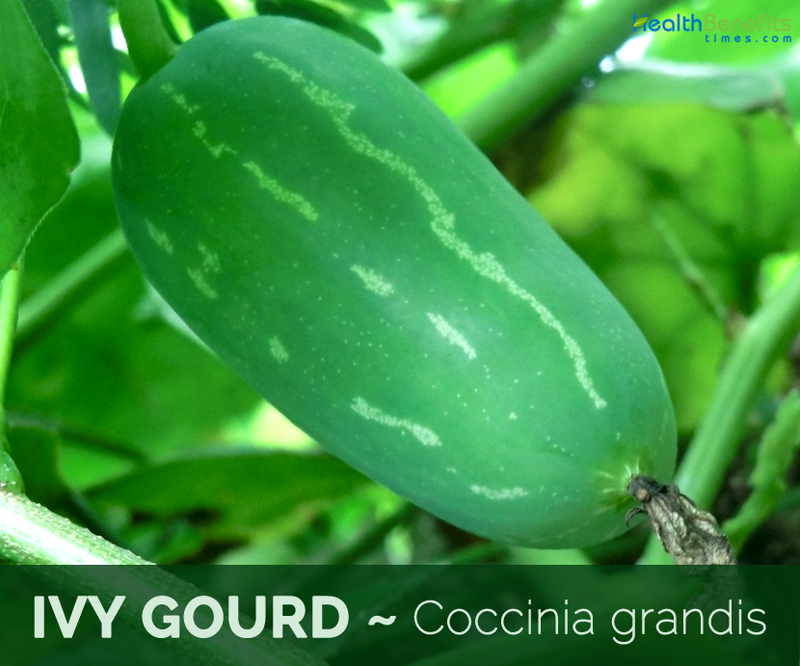 Ivy gourd consists of 1.4 mg of Iron which is 17.50% of the daily recommended value. So, the inclusion of Ivy gourd in your diet keeps you fit, healthy, and energetic, both internally and in your external life. Iron deficiency may often cause body weakness, severe fatigue and other related health ailments. People lacking iron cannot perform normal functions in an optimal way. Vitamin B2 is a water soluble vitamin. Body needs a daily dosage of it since it cannot be stored in the body. It plays a major role in energy production and symbolizes an essential nutrient in your diet. Ivy gourd, with its nutrients, vitamins, and antioxidants help in strengthening the nervous system. Ivy gourd help in dealing with numerous nervous related problems such as Alzheimer’s disease, epilepsy, numbness, multiple sclerosis, anxiety and among others. It is believed that Ivy gourd along with vitamin B6, is effective for handling the painful symptoms of Carpal Tunnel Syndrome. Thiamine helps in the conversion of carbohydrates into glucose, which is the favored source of energy that the body runs off of to help keep metabolism running effortlessly. It also helps break down proteins and fats too. After eating Ivy Gourd which contains thiamine, it is transported in the blood and plasma and then used by the cells to convert energy. 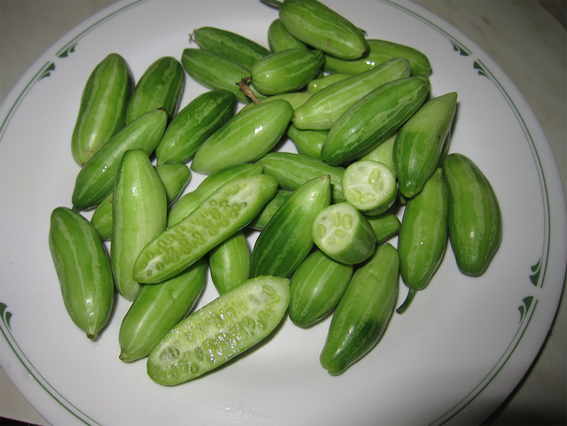 Ivy gourd consists of 0.07 mg of Vitamin B1 which is 15.83% of the daily recommended value. 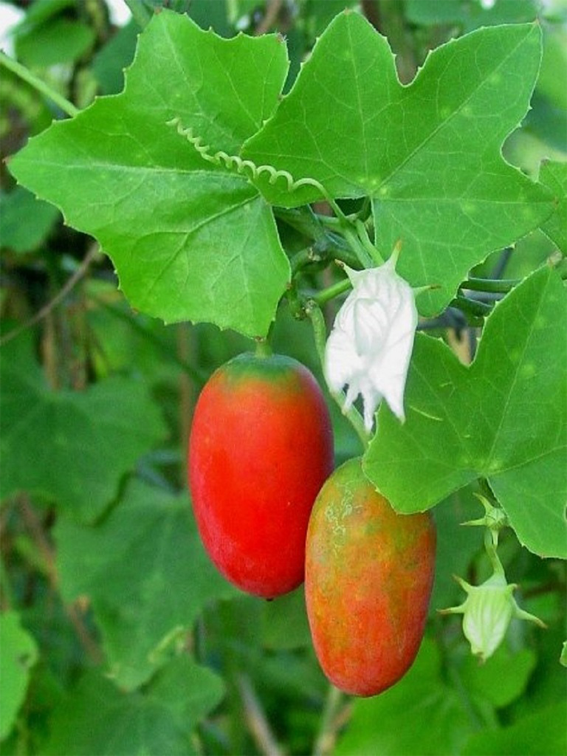 Thiamine found in Ivy gourd also plays an important role in the manufacture of red blood cells, which are used for constant energy. Since thiamine as well as other B vitamins are naturally energy boosting and essential to create ATD from foods, you will often discover B Vitamin Complex supplements catagirized as “energy boosting” or even“healthy metabolism” products. Ivy gourd consumption in supplement form is also sometimes given to patients to help correct metabolic disorders related with genetic diseases. Main benefits of fiber rich diet are improving the health of the digestive system. Dietary fiber plays an important role in increasing the weight and size of your stool and softens it. Frequent consumption of Ivy gourd is important to add bulk to the faeces. Increased fiber intake benefits a number of gastrointestinal disorders including the following: duodenal ulcer, hemorrhoids, gastro esophageal reflux disease, constipation, and diverticulitis. Soluble fiber slow down the rate of digestion, which is usually overridden by insoluble fiber, which does not absorb water and speeds up the time that food passes through the gut and keeps your digestive system healthy. Kidney stone is in fact crystallized form of calcium as well as other minerals deposited within the human urinary tract. Most typical form of kidney stones is oxalate stones. Before, it was supposed that higher consumption of calcium intake or high calcium absorption may result in kidney stones, however the modern research proves that higher dietary calcium intake reduces the chance of kidney stones significantly. In short dietary calcium present in Ivy gourd does not result in kidney stones but in fact excess calcium present in water leads to kidney stones. Other factors like high oxalate consumption of leafy vegetables like spinach and spinach, and less fluid consumption may result to kidney stones. Frequently consume ivy gourd to be far away from Kidney stone. Soup: Young Fruits, terminal leafy shoots and leaves are consumed fried, blanched, fried or even boiled with Soups, noodles and rice. Koloban: Leaves and terminal shoots are used in Koloban for rice table as well as in Sayur and Sambelan in Indonesia. Stir-fries: Young leafy terminal tips are blanched for dipping in chilli paste or used in stir-fries. Ivy gourd and minced pork soup: It can be mixed with soup dishes like ivy gourd and minced pork soup, porcine blood curd soup, or mixed vegetable soup and noodles. Porridge: For young children, young leaves are boiled and mashed and is included in Porridge. Curries: Young Fruits are fermented and used in Soups and curries with rice and fries in Thailand. Pickled: Young green fruit are pickled and also can be consumed by dipping in chili paste. Comfited: Ripe fruit can be consumed raw or comfited. Curry: It can be consumed as a curry, by deep-frying it; stuffing it with masala and sautéing it. 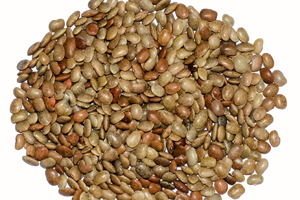 Sambaar: It may also be used in sambaar, a vegetable- and lentil based soup. Stew: Red fruit are eaten raw, or they are peeled and cut into pieces and prepared as a stew with onions and tomatoes and other vegetables in East Africa. Soups and curries: In Ethiopia and India Immature green fruits are prepared in soups and curries. Vegetable: Leaves are also eaten as a vegetable by Mursi tribe in Ethiopia. The seeds are chewed in Kenya and Ethiopia. From ancient times ivy gourd is used as anti-inflammatory, anticonvulsant,wound healing, bronchial inflammation, antiulcer, coughs, purgative, respiratory mucosae, antiemetic, astringent poultice and treatment of diabetes mellitus, gout and skin diseases, asthma and antipyretic. To reduce high blood pressure and to treat abscesses, fruits, stems and leaves are used. Leaves when mixed with gingelly oil (sesame oil) is used to treat ring worm, psoriasis and itch, when mixed with ghee to cure sore, skin diseases, cutaneous eruptions of small pox. Leaves are used for treating bronchitis, burns, skin eruptions, syphilis and gonorrhea, jaundice and rheumatism. Juice of the leaves, stem and roots serve as a cure for intermittent glycosuria, diabetes, sore-tongues, intermittent glycosuria, enlarged glands earaches, and skin diseases like pityriasis and also treats urinary tract infection, other related troubles. Dried root bark has cathartic properties. To alleviate pain in joints, skin lesions, apthous ulcers and diabetes, root tubers are used. Green fruit are chewed to cure sores on tongue and the dried fruit are used to remove eczema. Coccinia powder is used for treating liver weakness, vomiting and worm infestation, gastro – intestinal disturbances, purifies blood, dysentery, curbs infection in the body, effective against long-lasting cough and cold and provides good results for bronchitis and asthma. Stem infusion is given for vertigo, the roots used for high fever, the leaves for skin complaints in Moluccas. Roots are used to treat intestinal ailments in Niger. Fresh or dried roots are crushed, boiled and used for stabbing pain and kidney infections in Ethiopia. Fresh cotton wad dab in a boiled preparation of crushed, fresh or dried leaves is used to treat snake poison in the eyes in Somalia. Ivy gourd is frequently grown as a fence or hedge. In case you have diabetes, reduce blood sugar levels, prevent ingesting tondli gourds, leaves or even extracts. We must not consume tondli for about a couple weeks just before scheduled surgery, because of its effect on blood sugar. In case you have an allergic reaction to many other members of the Curcurbitaceae family of vegetables, prevent tondli and talk to your physician instantly in case you develop indications of a hypersensitive reaction, like an allergy, inflammation or even difficulty breathing. Ivy Gourd is a beneficial vegetable which is found growing in sun-drenched protected place along with a sandy soil. It is smooth ,ovoid to ellipsoid berry which is rich in Iron and Vitamin B2. It is used in various food item and is very useful in Fatigue, Protects the Nervous System as well as Maintains a Healthy Metabolism. 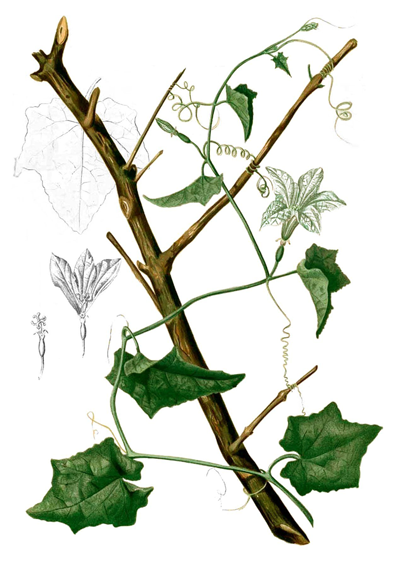 Native Ivy gourd occurs wild in northern and eastern Africa, Arabia to tropical south and southeast Asia. French: Gourde écarlate de l’Inde. Malay: Pepasan, Papasan (Indonesia), Bolu teke (Java). Nepalese: Akhu pami, Gol kankri, Kundaruu (Kundaru), Van kirii (Van kiri). Sanskrit: Bimbi, Bimbika (as C. indica), Jivaka, Patuparni, Vimba, Vira. Thai: Tảlụng (ตำลึง) Tam lueng, P̄hạk tảlụng (ผักตำลึง) Phak tam lueng. Description Ivy Gourd scientifically known as Coccinia grandis is actually a smooth ,ovoid to ellipsoid berry which is green with longitudinal stripes when young turning bright red when ripe. It has distinctive taste and is also full of important nutrient, viotamin and minerals. Plant Size 3 m (9ft 10in). Stem Stems green, ribbed when young, glabrous, with simple, axillary tendrils. Leaf Stems green, ribbed when young, glabrous, with simple, axillary tendrils. 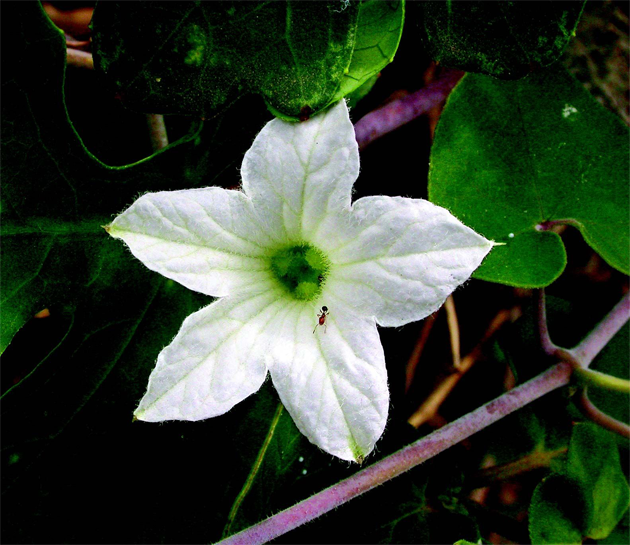 Flower Flower is large and white and star-shaped about 4 cm in diameter and contains five long tubular petals. Seed Several pale, flattened seeds 7 mm long. Other Facts Ivy gourd is often grown as a fence or hedge. Bryonia barbata Buch.-Ham. ex Cogn. Coccinia grandis var. wightiana (M.Roem.) Greb. Coccinia helenae Busc. & Muschl. Coccinia indica Wight & Arn. 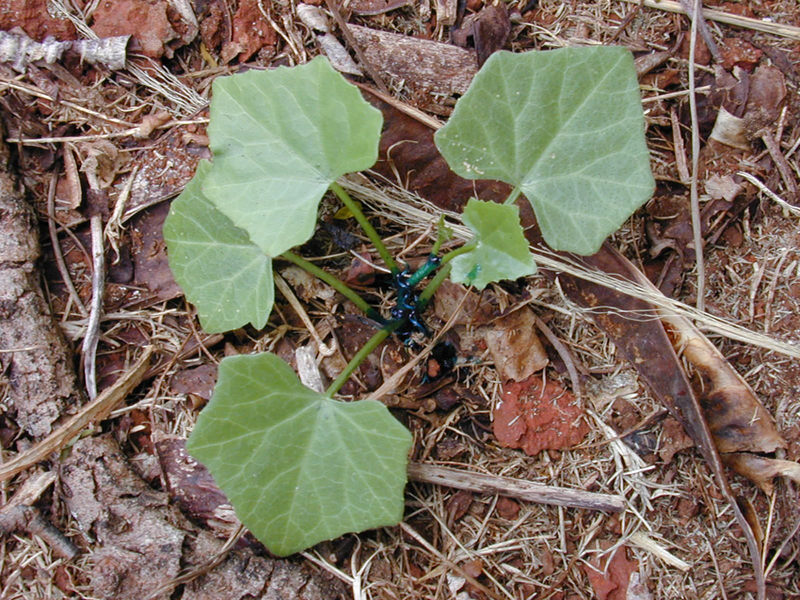 Coccinia indica var. palmata Wight & Arn. Cucurbita dioica Roxb. ex Wight & Arn. Cucurbita schimperiana Hochst. ex Cogn. Cucurbita triangulata Hochst. ex Cogn. Turia moghadd Forssk. ex J.F Gmel.